When you hear the term “virtual reality” you probably start thinking about virtual reality headsets. While virtual reality (VR for short) has certainly developed over the last few years, VR is a still growing technology field – a technology field in which projector rentals may soon become much more important. Film director James Cameron has made quite a few hits throughout his career but his 2009 film Avatar was a massive success which preceded (or more likely caused) other filmmakers incorporating 3D into their works. While I am extremely hesitant to call 3D glasses VR technology, Cameron’s box office hit has encouraged him to continue looking for ways to improve 3D movie viewing. James Cameron is planning on making several Avatar sequels, and with these sequels he has plans for improving 3D movie technology. Cameron says that he wants to make 3D movie viewing glasses-less through the use of projectors. 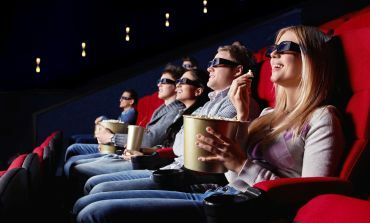 Cameron’s production company has renewed its contract with the projection company Christie Digital Systems in order to make a new form of 3D movie viewing. If you are not sure how projectors could possibly be used for making a 3D movie viewing experience, here’s a video demonstration. This video was made by a VR company called BroomX using their MK Player 360 projector. Considering the fact that BroomX is a startup company, it will be interesting to see what Cameron and Christie Digital are able to cook up with their deeper pockets.